CARY, NC USA. The practice of KM (or “Knowledge Management“) has had it’s struggles, enduring many years of growing pains. The grand prize – product and process innovation – is alluring, so KM teams have worked diligently to leverage intuitive, web-based tools and frameworks that can drive expanded use of corporate knowledge stores. Behind the scenes, vendors have been busy too, because KM (and it’s close cousin, “Enterprise Search“) have been the best hope for social media tool developers to get a foot-hold in the lucrative commercial space. But lasting engagement and results are often elusive. Why is this so? In many important ways, KM is culturally at odds with the prevailing management mindset in corporate America. For the last 100 years or so, the fundamental paradigm in business has been been built around control, with administration by authoritative, hierarchical management. Goals and policies come down from the top, and the mission is routinely around maximizing hard economic profit, often to the detriment of other goals. In spite of efforts to maintain a portfolio of goals, the drive for quarterly earnings can often trump all else. In fact, reducing cost of production and cost of defects has been the hallmark of industrial management, and it all comes down to standardization. In this world, innovation is often relegated to R&D (it’s own “speciality”), if it’s funded at all. It’s a mindset that externalizes improvement, if not discouraging change outright. In today’s economy, the long-term effect of these trends is more apparent than ever. KM embraces innovation, and sees change as important. 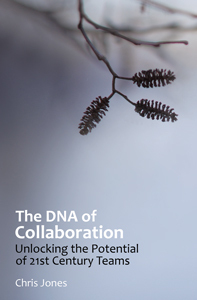 It seeks to open doors and encourage collaboration across organizational boundaries. It is designed to weave innovation into the fabric of every team and every process. With KM teams and practices in play, problem solving leans away from the structured organization of functional specialists, in favor of empowering individual contributors, who form fluid, cross-functional teams that are often better suited to solve complex problems. The locus of energy shifts to knowledge workers, who can best positioned to see, understand, articulate, and guide their teams to achieve better, more innovative solutions. In a business culture predicated on control, it’s small wonder that KM has been facing lots of closed doors. KM is at it’s best when knowledge workers receive the tools and training they need to generate insight and act on it. Gearing-up for KM is lots of work, but it’s the foundation for success of a knowledge enabled company in a marketplace that is beginning to reward players that are savvy about how to leverage knowledge and colloboration to innovate. To unlock KM’s potential within an enterprise, then, it seems the only productive path is to knock on the doors of culture change within the organization. Is executive management open for change? Better still, are they demanding it? Do they see the value of cross-functional teams? Are they willing to help break down the political barriers that are natural artifacts of hierarchical management structures? Or is the status quo going to have to suffice? If you start hearing about limited money for KM, you have your answer, at least for the short-term. Knowledge Management can work. In fact, to compete in our new knowledge economy, it’s critical. But we need to start with culture issues, and fix those first. The journey is long, but there are no shortcuts. Maybe you have already put your finger on the solution … that quarterly report. It seems that an annual report would be more forgiving of longer term investments in revising the corporation / community. It also would probably take an act of Congress (fat chance) to ditch the quarterly report.